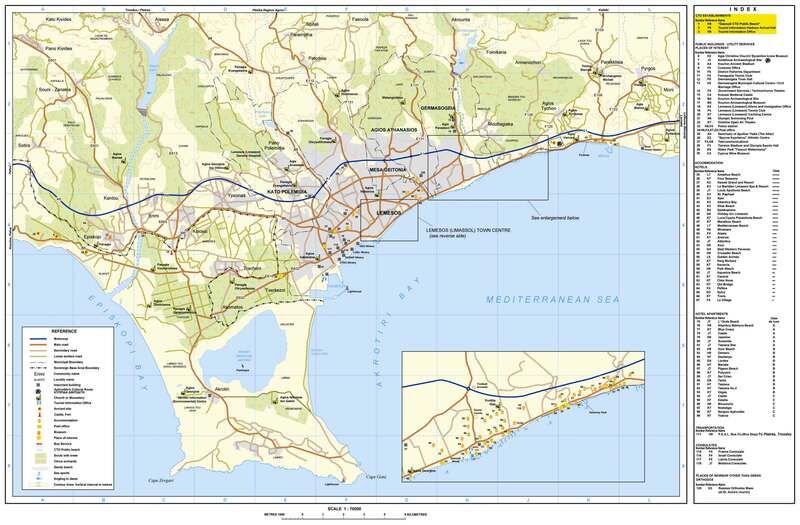 Limassol (Limassol, Cyprus) has 101,000 inhabitants, and a size (surface area) of 35 km². It is near Nicosia. The Vore provides the cost of living in Limassol, and the salary required to live there. Drink a beer at "Taps Bar & Grill"& "Franx Bar & Restaurant" or go clubbing in Limassol? Or buy your pre-drinks and cigarettes at a local shop? The alcohol price level is rated /100. The Vore provides Limassol's alcohol prices, and shows you the best local places. Interested in buying or renting a house or apartment in Limassol? Or right next to Kourion? The real estate price level is (/100). The Vore talks Limassol's housing prices, mortgage interest rates, and the best neighborhoods. Going to take a bus in Limassol? A taxi?The public transport price level is (/100) in Limassol. The Vore provides public transport prices, distances, what to tip, and how long journeys takes! Going to eat at Dionysus Mansion & La Maison Fleurie in Limassol? Or buy food at supermarkets like Papantoniou Supermarket & Plus Discount Market? The price level of food in Limassol is duur(57/100). The Vore provides Limassol's restaurant & food prices, and shows you the best local places. The city is geavanceerd, verbluffend, and in terms of food costs it's duur.